Since our last post Jacqui and I have been working closely with Peg and Bernadette to put together a plan for accomplishing our $50k profit rehab goal. Our focus right now is finding a property to buy. Recently we have been spending our time driving for dollars and meeting with local realtors to explain our goals. If you have never tried driving for dollars, I think it’s fair to say your first time is going to feel awkward. It is hard to look normal when you are circling a neighborhood, slowing traffic and wondering if you look like kidnappers. Essentially our plan was to pull up to a distressed looking property, run out with our “we want to buy your house” flyer, wedge it in the door, then run back to the car as quickly as possible and drive off avoiding any human contact. Realizing it is less creepy if we actually get out and speak to people, our second attempt went much better. Now that the weather is getting nice, something we are more comfortable with is “running for dollars”. We take our dog with us on the run as this makes us feel more “normal” and offsets the fact that we have a pocket full of flyers and a notepad to write down addresses. People are willing to give you more information when you look like another neighbor walking around. Time will tell if we end up with any leads, but it certainly was a good way to become more familiar with the neighborhoods in our area. Through some of these conversations we learned about other houses that were already being rehabbed. At first the thought of another rehabber in my target neighborhood was a bummer to us because we felt someone else beat us to the deal. But we are currently trying to get in touch with these other investors so we can learn from them and see if we could work together in the future. We have also started setting up meetings with brokers in the metro-west area that are interested in working with us to find rehab and multi-family buy and hold deals. Anything within a 20-30 minute radius of Framingham is what we are looking at. If you are interested in working with us please drop us a message at mike@fitzproperty.com or jacqui@fitzproperty.com and we can set up some time to talk. In the next couple weeks we are planning on launching our company website and first direct mail campaign. We are trying to narrow down our favorite logos for our company, stay tuned for a voting poll in our next blog post! We are having a blast mentoring Mike Fitzpatrick. He’s working with his partner Jacqui Pietrzak, look for their next blog post. They’ve been driving for dollars, working on their website, putting together their first direct mail marketing campaign and presenting potential deals to Peg and I. Super proud of them! I’m watching a power couple develop! WOHOO! It’s the LAST day to get eligible for this month’s workshop at 5pm. I will be downloading real estate leads from a few lead sources and giving them to the folks who come to the session. I need to know now who is coming at 5pm. If you don’t qualify by midnight tonight, you won’t be able to join us at 5pm before the monthly meeting! Find out if you are eligible! Most of you have said that you are interested in saving money on your electric bill and going green. Some of you have switched to Viridian, many of you have not. All of you raise your hand when I ask if you recycle, most of you agree if you had the ability to make 10 times the carbon impact without it costing you, you would. I know time gets away from you and you forget. I get it. We have invited Reps to help you with the 3 minute process it takes to make the switch on Thursday night – BRING YOUR N-Star or National Grid bills with you. It costs you nothing, takes 3 minutes, can save you money over time and you choose green. All who take action will get a special opportunity during our “forced networking” segment. Thursday, March 20, 2014 – Is fear of making an offer holding you back? ***Special opportuniy to for MEMBERS of Boston AREIA, we are shaking up our forced networking section…those who get there early will be rewarded! MENTORSHIP CONTEST sponsored by Boston AREIA and JEM Property Group! We are excited to present this mentorship opportunity to the members of Boston AREIA! The winning entry will work directly with both Peg Graveline of JEM Property Group and Bernadette Trafton of Boston AREIA who will be focused on success! T opics being tackled (On the job training, not reading about) will cover: finding the deal, analyzing the deal, putting the property under contract, funding, working with lenders, exit strategies (rehab and sell, wholesaling, buy and hold), really all the ins and outs of flipping properties and more. a. What is your WHY? What is your driving force? What is going to self-motivate you to follow through with your schedule. For example, My WHY is a desire to provide the best lifestyle I can for my family and be able to do what I want, when I want. Because of this, I’m pretty self and money motivated to reach my goals. I am accountable to those goals as well. Perhaps you are sick of working for someone else or you are looking for time freedom. If we know your WHY it will be easier for us to hold you accountable to your goals. b. Why real estate? There are multiple ways that people have the ability to create income and residual income. Why are you choosing real estate? c. What are your short term goals over the next 3 months, 6 months and a year? d. What are you long term goals? Where do you see yourself in 1yr, 3yrs, 5 years? f. How much time are you going to devote to your business every week? Set yourself a schedule to work your real estate business and outline that schedule. g. What do you think is the biggest reason why we should choose you for the mentorship program? 2. It will be required that the winning participant submits a blog entry once a month which will be featured in our “Diary of a Newbie real estate investor” segment. Do you agree to submit a blog entry once per month to Bernadette@BostonAREIA.com? 3. Boston AREIA and Peg Graveline of JEM Property Group reserve the right to outline any deals resulting in this mentorship program for the purposes of presentation and training purposes. We look forward to receiving and reading essays from all who enter the contest and we are excited to work with you! All the best and GOOD LUCK EVERYONE! Be specific and include details but start rough. This means you want a Mercedes. You don’t have to get into color, options, etc.… just write it down. Make your list huge. Come back and prioritize and determine what you want in one, three, six and twelve months, then three, five, ten and twenty years. The more goals you have, the happier you will be, the longer you will live, and the more prosperous you will be. Your goals must be believable or you will not pay the price. They must be just out of your reach, but know you can reach them, if you really strive to do it. Don’t set a goal to be financially independent. You can’t measure that. Break it down to the ridiculous. I have learned that successful people set their goals quickly and make adjustments as they go along. Successful people don’t vacillate in indecision. Goals must be congruent with your actions. You cannot set a goal to work harder, longer hours AND a goal to spend more time with your family. Those are not congruent. If you see yourself as already having achieved the goal, you will fake out your mind and it sees the goal as having been achieved. It’s called “fake it till you make it”. Take a moment each day and visualize life as it is would be with your goals already accomplished. Number your goals in the order of importance. Not only is the goal important but so is the reason. Sure your want more money, but why do you want money? Whatever it is, the reason must be there. The reason is more important than the goal itself. Review, monitor and make adjustments to your goals. You have to be flexible. Some things are not going to happen, you have to face that but you need to continuously strive to get better every day. Set goals based on income, equity or net worth and cash flow. All of these are financial goals. This is your health. If you don’t feel good, you are not working at your maximum capacity. I want you to set some fitness goals to stay healthy. Start small and don’t try to tackle all of them at. Set family goals. What is an example of a family goal? Maybe you want to take four vacations a year. Maybe you want to visit a new state, three times a year or five times a year. You get the point. Think about the people you associate with. Your ten closest friend’s annual salary and divide by ten…that is pretty close to your income. Who you associate with, is who you are like, so keep that in mind. Don’t get rid of your friends, just get more that are where YOU want to be financially. Remember, real estate investing is a great way to help you achieve your goals, you have to have desire and commitment. The time for action is now and its never to late to DO SOMETHING! rent from $2,000/mo. (plus utilities) to $2,500/mo. modest investment to reduce electrical utility costs. process to build on the vacant lot (Lot D) and boathouse (Lot E), total 4,550 sq. ft.
that it would be approved by the Zoning Board of Appeals. You would need to pave the 12 ft. Per deed, Lot E (boathouse) has “beach, flats, and riparian rights, appurtenant of said premises”. The new house should have one bathroom per bedroom to maximize rental income. Exit strategy after building: Sell all or some of the three buildings, individually. The realtors for this Winthrop, MA real estate deal are walking through on Monday, August 19, 2013 at 10 am. Time is of the essence. I wanted to share my favorite direct mail marketing campaign. It’s my favorite because it doesn’t cost that much and typically you get great results. First, you need to determine the area that you want to market in and know the zip codes. I prefer to work with out of area owners, because depending on their situation, they are more likely to want out of the property. So, I go to my favorite list place, www.Melissadata.com. There are other list places, this is just the one that I’ve grown accustomed to using. Wherever you get your list, choose out of area owners in the location that you are looking to buy in. Now, many folks will tell you to send a postcard campaign and make the postcard yellow or orange. I’m not all that fond of this method because the call rate is less than 1%. I like to use Send Out Cards. Yes, I send a card! Think about it, are you more likely to open a card or look at a postcard? If you are like me the postcards get thrown in the trash and the cards I open. It’s pretty simple. The call rate is higher and worth the little extra money you pay to send the card. It depends on the card, but, usually it costs 2 points plus the cost of postage. 1 point costs .31, plus the cost of postage, so around $1.00 per card, unless you create a card using your own photos, then it is 3 points, plus postage, so around $1.40. They also have postcards, but, I really like the cards better, higher open and respond rate. Once you set up your Send out Cards account, it’s as easy as upload the leads to a specific group, then choose or create a card, enter your text, choose the recipients, hit send and within a week you should be getting calls. Now, mind you, I do this consistently so the phone rings consistently. Make sure you set your marketing budget ahead of time. If you are doing things right and consistently, in the beginning, your marketing budget is similar to a car payment every month…and not a Yugo car payment…are they around anymore? Cheers to a great summer and happy investing! Good morning everyone! So, I’ve had some deals come in over the last few days. I will also be posting these deals on the deals page as well. Make sure you bring your deals next week at our Christmas in July meeting on July 18th! 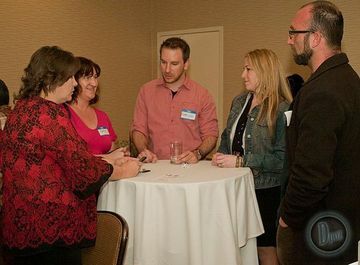 See all upcoming events for Boston AREIA real estate club on our events page. 70 School Street, JP 2 family, 3/4 beds and 1 bath each. 2 parking spots, laundry hookups in each unit. 2,620 sq ft. $535,000. Good rental income property cash-flowing $3,600-$4,000 a month. 78 Pine Street, Fall River, MA 02720 Commercial Building Uses: Sober House or similar, office building Adjacent to Route 195, 79, 138, near 24 No 21E on File Handicap Accessible, 1st and 2nd Floor Lot 8,599 SF includes 20 space parking lot across the street Built 1917 Location within 1 mile of new courthouse Top floor office has view of River Close to Fall River Heritage State Park 12,228 SF The building is full business zoned. That allows for hotels / rooming house. The City of Fall River does not require a special Sober House license, just a rooming house license. No special permit or variance required. Information from others in the business says they use 200 sq ft per room, including hallways, common kitchen(s) and baths. That would allow for 52 rooms / beds without disturbing the 3rd floor auditorium. If the room charge is $500.00 per month, that’s $26,000 gross income per month. Purchase cost is only $7,692.00 per room. Existing now is a parking lot along with a few older buildings to be torn down and rebuilt. Retail is now renting the street floor space in the existing buildings. This will be a five-phase project consisting of five buildings with 40 units in each building for a total of about 200 units based on the current permitted zoning. Good afternoon everyone. I hope you are all getting ready to have a fantastic 4th of July, Independence Day Celebration with your friends and your families. I have been working on some great things for the folks at Boston AREIA. First, we are offering and Independence Day Special to everyone! For those who join Boston AREIA by July 4th, you will get $25 off of Individual memberships and $50 off of Joint memberships! Great Independence Day Deal for everyone. Click here to view the membership plans (the options for the Independence Day is the last step before entering payment info). Now, I’ve been talking to someone about how to get your deals funded WITHOUT hard money. I know that hard money serves it’s purpose. Chris Roche is one of our vendors. But, I think I’ve got the answer for many folks. There are of course ways to fund deals if you have bad credit, we have programs that can help with that. But, what if you have a good credit history and you don’t want to pay 12-15% for hard money? There has to be a innovative solution. One would think. Well, I met a team of folks the other day who are providing business loans up to $150k or more. You qualify personally, but, the loan goes in your business name and is treated like a line of credit. So, need some money to partner with folks and fund that deal? You can take a draw. Flip a property, collect your ROI, pay off the loan and have the money available for the next property. At your real estate club – Boston AREIA , we are always looking for ways to make it easier for you to do deals and reach your goals. Christmas in July! ‘Tis the season to invest in real estate! Join us for a Networking Extravaganza! • Win prizes: real estate education, coaching and more!!! • Share your deals and have a blast! Bring you deals, your energy and LOTS of business cards!